Discussion in 'Marshall Amps' started by Delete! !, Feb 13, 2019. The new JVM215C finally came (after a series of mishaps that would make a good motion picture)!! This amp is awesome, and so far everything I hoped it would be. The orange mode (in both channels) seems to be where I like it best. Much more reverb than I thought too, more pronounced than my DSL40CR’s reverb. Still exploring everything, but so far I love it!! Here’s a “family” pic with the new JVM and my recently acquired DSL 201.
eastsidecincy, Mitchell Pearrow, John BNY and 8 others like this. Wow !!! Very Cool …… I'll be watching closely to see how your experience goes brother !! Mitchell Pearrow and Delete!! like this. I'm a BIG fan of the JVM215C! One of the best 1x12 combos out there for sure! Mitchell Pearrow, Jethro Rocker, MonstersOfTheMidway and 2 others like this. Thanks guys, this was a Christmas present from my wife. She ordered it right after Christmas. It took so long to get here because it initially got sent to an old address. When it finally got back to the shipping center they said the box was damaged and asked if we wanted a fresh unit. Of course we said yes, but then they were out of stock. When the replacement unit finally shipped it was delayed several days due to bad weather, then was delayed again prior to arriving today. It was very frustrating, but I think it was worth the wait. I’m not 100% sure about the stock speaker, I will put some time on it but may steal the Redback out of my 40CR and try it. And Moony, what kind of JVM is that?? Love the color scheme - did it come that way? Mitchell Pearrow and GibsonKramer like this. Yes, it comes in all black - black Marshall label, black binding, black faceplate, black knobs - and a green power switch (instead of red). That was a very limited edition from the Marshall custom shop sold in UK exclusively in late 2015. BftGibson, Mitchell Pearrow, Jethro Rocker and 2 others like this. Wow, that is trick - very nice! After playing around some more I think the green mode in the OD channel is my new favorite, the orange is good but is a little too hot. I love the sounds in this thing. Mitchell Pearrow and Moony like this. The JVM215C has the OD2 Channel of the JVM4 series. You could easily mod it to be the OD1 Channel of JVM4 series. Just need to pull out the front pcb with the pots and change one resistor and two caps. But that would void the warranty of the amp and I could understand, if you don't want to do that. As far as the speaker goes, into my main JVM215C I have put a WGS Invader - 50W Greenback style. It sounds a lot more vintagey than with the stock Celestion, but you'll lose a lot of "ooomph", too. I also had an ET-90 in there for a long time, which was very punchy, had good lows and broad mids. Both sound better to me than the stock one. I definitely want to keep my warranty intact, but the mod does sound interesting. So far I hear the stock speaker as dark and tight, seems like the mids are very dark - could use a little more openness or sparkle for lack of a better way to say it. I have been very happy with the Redback in my 40CR, it’s a great speaker. That will probably be where I start if I do change anything. Mitchell Pearrow, Moony and Jon C like this. 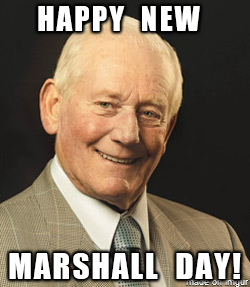 Congrats on the new amp! I wasn't a fan of the stock speaker either. I had a Classic Lead 80 in mime for a while, which I liked, tried a few others too but ultimately the one I like the best is the Chinese-made V30. To make OD orange and red more useable I put a JJ ecc823 in the first slot, reduces the gain only on those 2 modes and leaves everything else as-is. It lets you run the gain knob higher for a fuller sound. Also, an EQ in the loop can get you OD1-type mids w/o warranty-voiding mods. Delete!! and Moony like this. @OP: congratulations on the new amp. 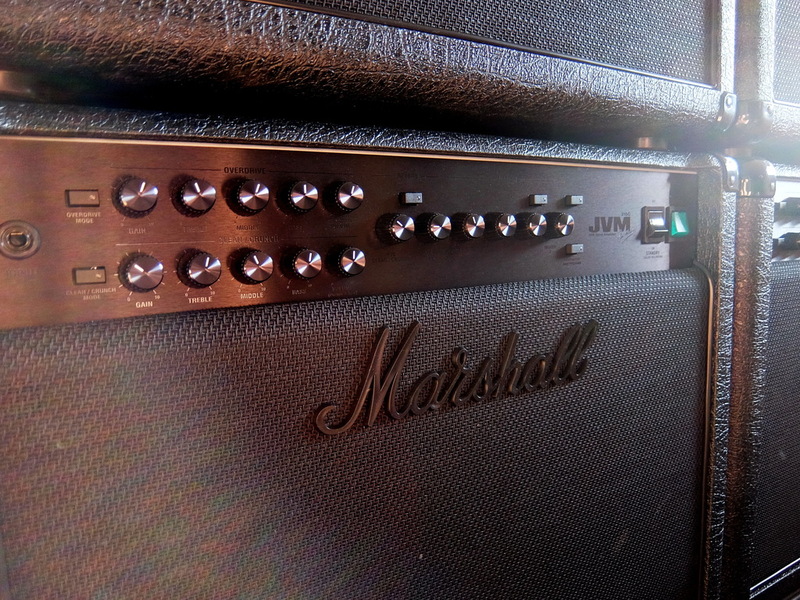 JVM2 amps are great. Hope you get a lot out of yours. Mitchell Pearrow, Delete!! and Moony like this. Congrats! 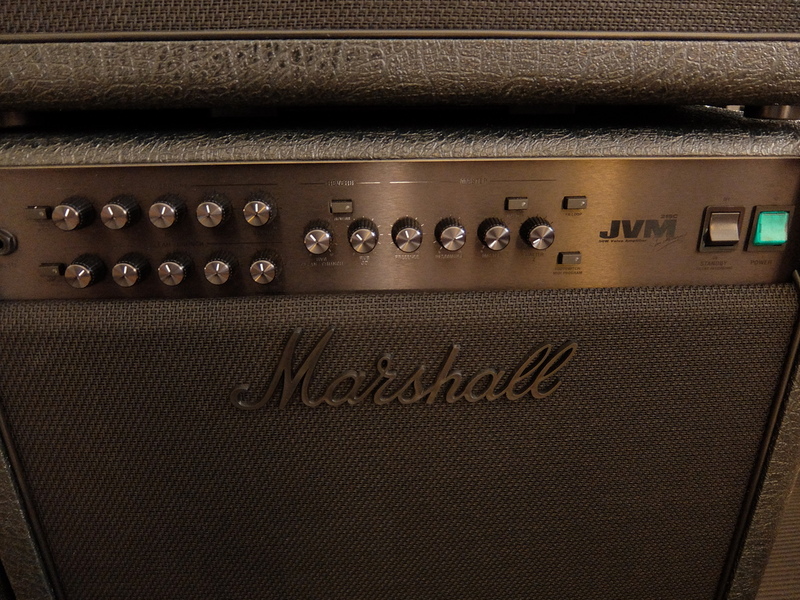 I have the JVM 205C, which is the same amp but with a 2x12. It is my favorite amp, and has become my main gigging amp. The amp came with mismatched speakers from the factory -- Celestion G12 Heritage and G12 Vintage -- and they sound great. I suggest you break in the speaker, before replacing it, because that could make a world of difference in tone. I use a solid state amp to plug into the speaker (you don't want the wear of using the tube amp to do this) and run a looper playing various chords. Running it for 24 hours makes the speaker come alive. Delete!! and Mitchell Pearrow like this. Never seen those speakers before - are they built by Celestion? Edit: Did some research. They could be built by Tayden. Yeh from the research I did on them a year ago it seems they are Tayden. I also have one in my Blackstar Artist. The magnets are big and they are pretty dammed heavy. The Harma Classic Ruby 50H 12 inch guitar speaker is a British voiced guitar speaker from The Harma speaker Gem British series. These speakers are Handmade in England and utilize traditional craftsmanship fused with modern day technology. These speakers have been designed after extensive research to specifically meet the demands of guitarists who want to create their own signature sound. They bridge the gap in the market for vintage tone and modern day definition that is left by the larger manufactures. The Harma Classic Ruby 50H 12 inch guitar speaker combines the open top end chime and harmonic mids of the Original 1960’s Vox blue with a tight low end and the added bite of a ceramic magnet. The result is a speaker that will make your chords shimmer and sparkle, your lead sound sustain with vintage harmonic warmth and the most desirable bottom end in the business which is rounded and extremely tight. It features a 6 inch 50 oz ceramic magnet, 50 watts rms into 8 ohm, 1- 3/4" hand wound voice coil. The speaker cone is a specified vintage Mueller cone with a special edge treatment which allows the speaker to breathe and bring out the cones unique sonic texture. The Harma Classic Ruby provides the classic British Vox blue vocal midrange sound which is typically warm with a smooth even breakup in the midrange. The top end is fantastically open with plenty of detail and chime. The use of a heavy ceramic magnet gives the speaker a tight and extended low end bass response. The speakers overload characteristics have been designed to work well with modern high gain amplifier circuits or vintage amplifiers with a boosted signal providing crunchy upper- mids with tight singing sustain. I took the day off today and put new pickups in my other Les Paul, and in the process spent some time on the JVM. I agree with keeping the stock speaker for a while, it’s already sounding better after tweaking the eq some more. John BNY and Mitchell Pearrow like this. Didn’t blow any windows out, but did take the JVM out for the first time today (at my church). It sounded great! Basically replaced my DSL40CR, which is also nice, but the JVM does sound better to me. Will probably use the 40CR as a backup now.